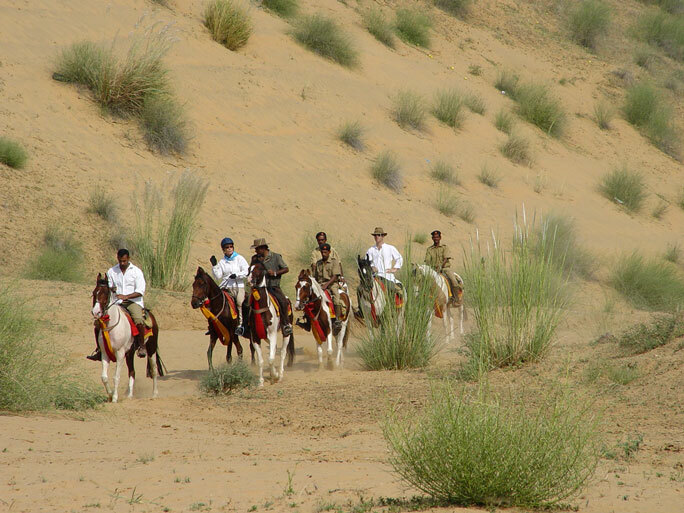 We're thrilled to announce three upcoming 2012/2013 Relief Rides which will take us on a fun-filled and purposeful expedition of a lifetime as we head to the areas of Pushkar, Bikaner and Chanod. These unique Relief Rides will offer us an unforgettable adventure as we journey into the heart of Rajasthan, India to experience a world of intense beauty and contrasting need. Explore vibrant landscapes, get up close and personal with indigenous wildlife and marvel at the spectacular landmarks and monuments that have been honored here for generations. Most importantly, we'll roll up our sleeves and give back to the very communities that we are visiting - an experience which has proven time and time again to be life-changing for everyone involved. 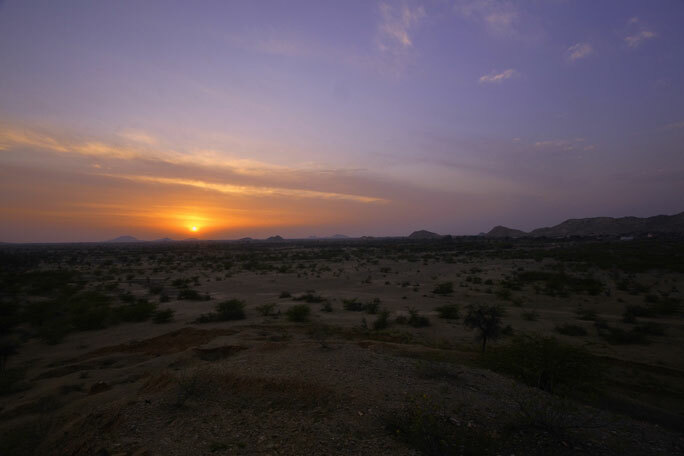 From sandy dunes to millet fields to the mighty Aravelli Mountain range, the varied landscapes and contrasting terrain along this journey to the Pushkar Fair are simply amazing. Visit sacred temples and spend the night within, and experience the rich battle scarred history of Khimsar Fort. Explore breathtaking landscapes and welcoming villages, and learn about the fascinating history that has shaped this area over generations. Join a caravan of nomadic tribes as they travel with their livestock to the world renowned Pushkar Fair and come face to face with a variety of wildlife species. Experience India's largest livestock fair, with horses and camels, brightly adorned and engaged in fiery competition and eclectic performances based on centuries old traditions, their owners vying for the perfect trade or the highest bid. Throughout this 16-day expedition, you'll experience first-hand the tremendous reward of giving back as we deliver much-needed educational materials, vision, dental care, and distribute livestock to families in need through our Give a Goat program. Experience the spectacular sights, sounds and tastes of India and participate in purposeful giving on this beautiful adventure. The rural landscape of Bikaner, with sweeping dunes reminiscent of the Sahara, is brought to life with spectacular palaces and exquisitely sculpted temples. Witness the culmination of centuries' long conservation efforts of the the Bishnoi tribe. Nothing more magical than traveling through the dunes of the Thar desert. This remarkable dune scape provides riders and horses with perfect footing and breathtaking vistas. Along the way we may encounter a number of indigenous fauna, from baby camels to Chinkara gazelles and the elusive Desert Fox. This incredible adventure is highlighted by the hands-on humanitarian work that you'll participate in, including a pediatric program, assisting at a dental camp and delivering livestock to villagers in need. Learn first-hand the joy and fulfillment this purposeful work can provide on this fantastic ride. The Chanod landscape is a sprawling moonscape littered with rocky outcroppings and vast plains - a serene backdrop to the vibrant culture that calls this region home. Experience the varying terrain as you ride through small canyons and over sandy dunes, across vast fields and alongside the beautiful Aravelli Hills. Explore the "Blue City" of Jodhpur, once an important stop along the ancient Silk Road. Interact with the locals on a personal level and catch glimpses of a variety of animals as you ride through the wildlife sanctuary. During this unforgettable 14 day pilgrimage, you'll experience the extraordinary gift of service as you take part in hands-on humanitarian activities that benefit the people of the communities you'll be visiting. Spend time with school children as you distribute educational materials and watch as lives are changed through our Give the Gift of Sight and Dental Care programs. We invite you to watch our slideshow, which captures both the adventure and the passion behind what we do. Once you see how incredibly beautiful and fulfilling these expeditions can be, you'll want to join us to experience it for yourself! We'd be honored to have you ride with us on one of our Relief Rides this Fall or Winter! Contact us today to reserve your spot.